When the villagers in southern China’s Wukan, Guangdong Province, held landmark democratic elections in 2011, they thought they would get their confiscated land back. The event was world news. But now it looks like they might get their old Party bosses back instead. 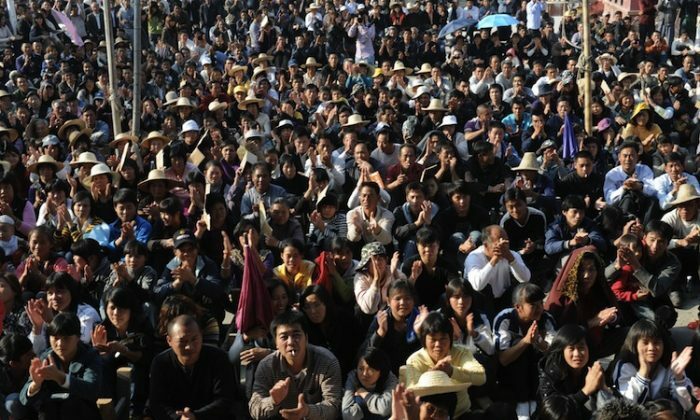 As the result of a highly publicized three month protest against local corruption, the villagers won the right to democratic elections, the dismissal of corrupt local Party bosses, and the possibility of regaining their land. The slow process of reclaiming property confiscated and sold by corrupt officials has disappointed some villagers in Wukan, deputy village chief Yang Semao told Radio Free Asia (RFA) in February. He said that most of those now serving a two-year term on the village council had found the job of recovering their land to be tedious and sometimes unproductive. Worried about the upcoming elections in March, he explained that failure to quickly regain the lost property meant that one candidate now looks much like another in the eyes of local residents. Now higher Party authorities in Donghai township have appointed some of the former village bosses to positions without the knowledge of the deputy village chiefs. Last week the authorities appointed Xue Yubao, one of the former Party bosses to a local Party position and four of his associates to be part of the nine-member Wukan party committee, deputy village chiefs Yang and Hong Ruichao told South China Morning Post (SCMP). “No one told us what the meeting was about and we were shocked to know the old cadres were returning to office,” Hong said. Yang blames Lin Zuluan, the democratically elected village chief, for the disorder in village politics. “Now I think Lin is just a political swindler,” Yang added . He told the South China Morning Post that 82 of the 108 democratically elected representatives who were to monitor the village committee signed a petition to have Lin hold assemblies and set a date for the upcoming elections, but he refused to sign it. Villagers say that there has been a lack of transparency in the conduct of the village committee, but Lin says he was just trying to please higher authorities.